The SHLA Fall Annual Meeting will be held Friday, November 2 at 9:30 AM in the Alexandria Room at the Dr. John Archer Library, University of Regina. The full agenda has been distributed to members via email. Please contact the SHLA executive if you have not received a copy. The 2018 Spring SHLA meeting opened with two member presentations and roundtable updates from members. Susan Baer, Director of Libraries and Archives at Regina Qu’Appelle Health Region, presented on the history and research developments of a working group of pan-Canadian librarians investigating the development of standards for literature searching. The group used an online questionnaire to identify steps searchers would take to conduct an ‘exemplary search,’ and developed a living-document glossary to address the issue of inconsistencies in search term use. Over time, the project developed from a standard into a code of practice to inform mediated searching practices. 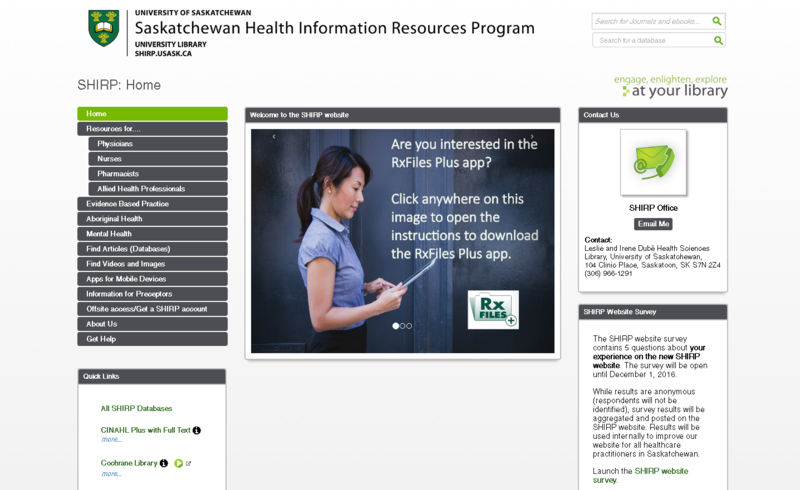 Saskatchewan Polytechnic librarians Tasha Maddison and Diane Zerr discussed a new online module created for the institute’s Adult Teaching and Learning Program. This program develops and advances the leadership and instructional skills of faculty. The Library has previously provided in-person research, citation, and technology education sessions to support learners. The shift to online, self-paced instruction has provided the Library with the opportunity to collaborate with Learning Technology trainers and Adult Teaching and Learning instructors. 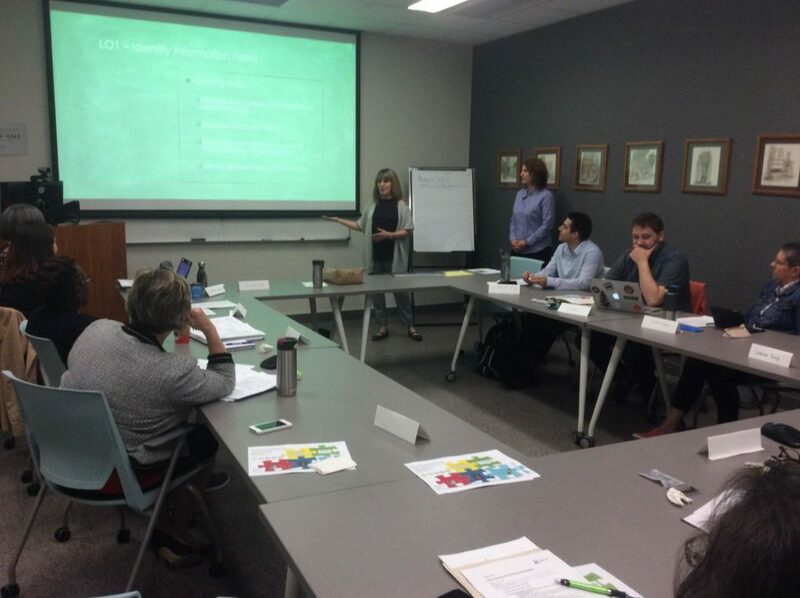 Diane and Tasha showcased the librarian’s role in blended curriculum design by integrating learning outcomes, learning steps, and assessments into the modules. 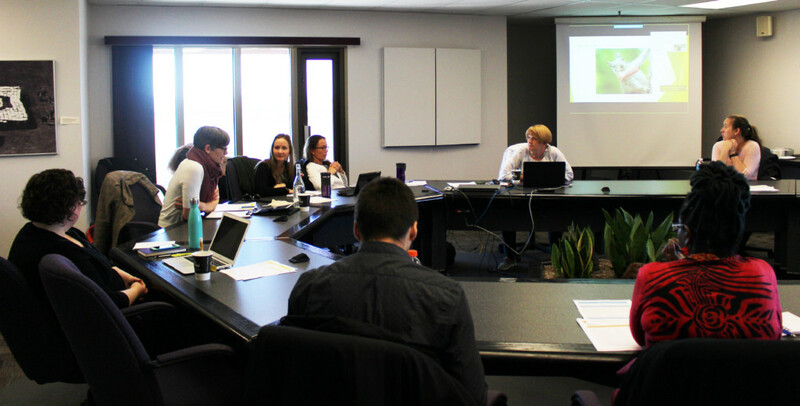 Roundtable updates were given on member activities at the Saskatchewan Health Authority, Saskatchewan Polytechnic, University of Regina, and University of Saskatchewan (see minutes for details). To kick off the AGM, Lance provided an update on the SHLA Journal Club, which currently has 14 members and is now listed on the Library Journal Club Network. Gina demonstrated options for uniting content from the JC and SHLA WordPress sites. The motion to combine the Journal Club website content with the SHLA website, and to make this content public, was passed. Updates from the executive members included an overview of executive activities over the year, which focused on administrative and business continuity. The Constitutional Review Working Group Report was discussed, and accepted with amendments. No nominees were volunteered for Secretary-Treasurer and President-Elect. Alongside another call for these vacant positions, nominations for the new Continuing Education Coordinator position will be sent out to the membership. Motions to spent surplus SHLA funds by supporting the current President in her attendance of the 2018 CHLA/ABSC Conference, and to create bursaries to send the 2019 Executive to the CHLA/ABSC conference (based on operating budget), were carried. A motion to establish an operating budget was also put forward and carried. Michelle requested that the membership review the CHLA/ABSC Strategic Plan to provide ideas and suggestions to inform future directions of the SHLA. The SHLA Spring AGM will be held on Friday, June 1, 2018 in Room 1430 of the Lesley and Irene Dubé Health Sciences Library at the University of Saskatchewan, Saskatoon. An agenda and all other information will follow. We will have time for two member presentations of approximately 10-20 minutes each. If you would like to discuss a recent project/publication or would like a chance to practice your presentation before conference season, we encourage you to consider presenting at the AGM. Please contact Caroline at before Friday, April 20, if you’re interested. Presented by: Charles Wessel, and Mary Lou Klem, University of Pittsburgh. Development of guidelines for synthesis review services at the Leslie and Irene Dube Health Sciences Library: A pilot project. Consumer Health Information & Education in the Saskatoon Health Region.